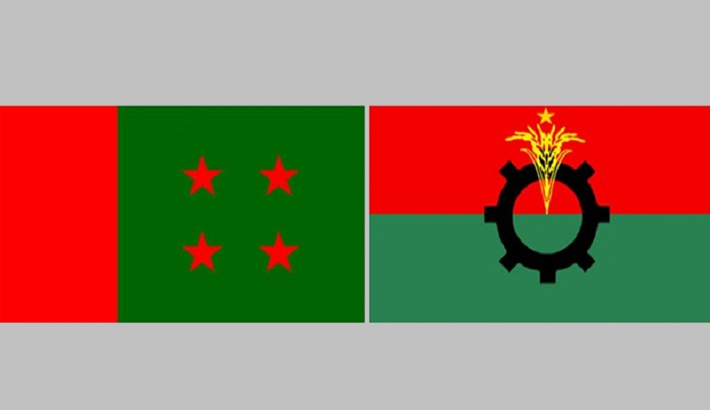 Political deadlock over the next national election has deepened as the ruling Awami League and opposition BNP stick to their guns about the system of holding the polls. The AL has been saying the next election will be held under Prime Minister Sheikh Hasina as per the constitution while BNP has been pressing for arranging the polls under a neutral administration. Amid the growing tussle between the two major parties, the premier at a press conference on Wednesday said it is the decision of a particular party whether it will take part in the polls or not. The BNP boycotted the last parliamentary elections held on January 5, 2014 as then AL government did not accept its demand for a poll-time neutral administration. “We cannot compel any political party to participate in the polls,” Sheikh Hasina said while speaking at the press meet on the outcome of her visit to Saudi Arabia, the UK and Australia. The issue of poll-time administration is on the table again as the Election Commission (EC) on April 30 said it will announce the schedule for the next national polls in October. The next 11th parliamentary elections are likely to be held in December this year. In reaction to EC’s such move, BNP secretary general Mirza Fakhrul Islam Alamgir called for settling the issue of poll-time neutral administration before announcement of the schedule. “Polls schedule before resolving the issue of the poll-time neutral government won’t be acceptable,” Mirza Fakhrul said. “If the Election Commission does not sit with the political parties on the issue, no parties will accept any one-sided announcement of polls schedule,” he added. Responding to the BNP’s demand for settling the issue of poll-time government, AL general secretary Obaidul Quader on Thursday said it is not a matter of the EC. “The Election Commission does not have the authority to deal with the BNP’s demand,” he added. Though the next national election is seven months away, both the parties are have locked horn by taking stubborn stance. As per the Article 123 (3) (a) of the constitution, a parliamentary election should be held within 90 days before the dissolution of the current parliament. The current 10th parliament sat on January 29 in 2014 after the last January 5 national polls, meaning the next polls shall be held between October 31, 2018 and January 28, 2019. Retreating from its earlier stance, BNP has been asking the government to arrange the election under poll-supportive government instead of caretaker government. Ruling out the BNP’s demand, AL leaders say the issue is settled by the constitution. If the BNP boycotts the national election this time, it may lose its registration with the EC and so, it must participate in the next polls to save its skin, they said. Commerce minister and AL advisory council member Tofail Ahmed on May 1 reiterated that the next polls will be held under Sheikh Hasina-led government. “During the polls, the incumbent prime minister will act as the head of the government. The poll-time government will carry out all routine work as an interim administration,” he said. “There will have neither a caretaker government nor any supportive government in the country during the polls,” Tofail added. The AL won more than two-thirds of parliamentary seats out of 300 in the January 5 polls boycott by the BNP-led 18-party alliance while JP (Ershad) emerged as the second largest party in parliament by winning 33 seats.